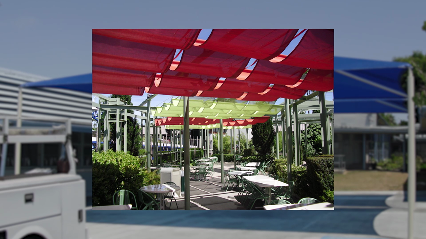 We can repair almost anything, tents, covers and canopies, stretchers, chair covers, etc. If you would like a price we always suggest bringing your repair in to make sure that it is salvageable. If it is not we can give you a quote to make you a new one. Please call our office at (760) 438-1414 if you need to get a quote or would like to bring something in for repair. Turn around time for repairs is about 10 business days, unless you have made special arrangements or have paid a rush fee.